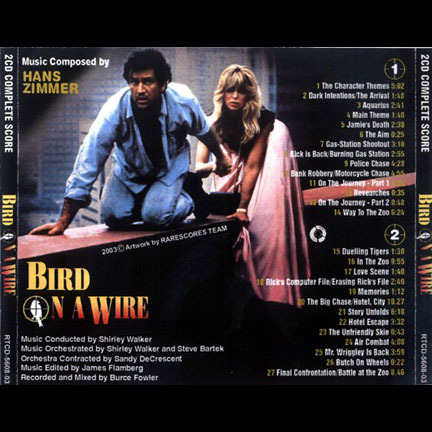 This black silk slip and robe was worn by the character Marianne Graves portrayed by the actress Goldie Hawn in the motion picture Bird on a Wire, which was released in 1990 and also starred Mel Gibson. 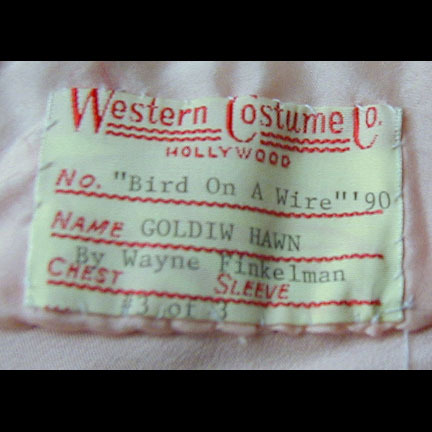 This costume consists of a slip and a matching pink and black robe. 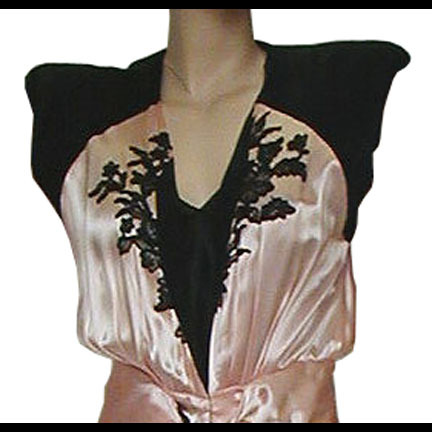 Both the slip and robe are constructed of pink and black silk and have black floral applique on the shoulders and breast. This wardrobe is in excellent screen worn condition and is accompanied with a letter of authenticity from the costume house.